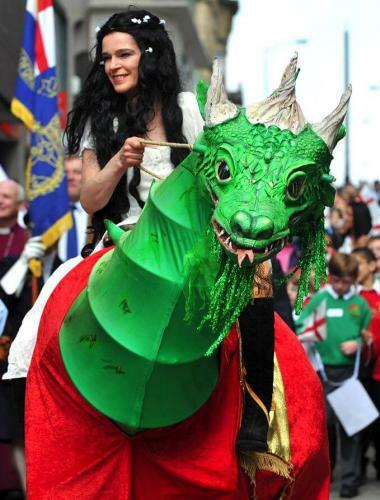 Great for patriotic-themed events, especially St. George's Day! 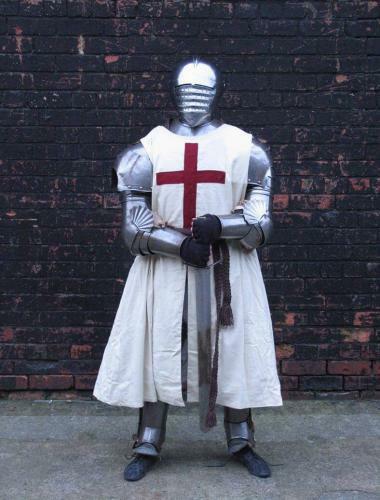 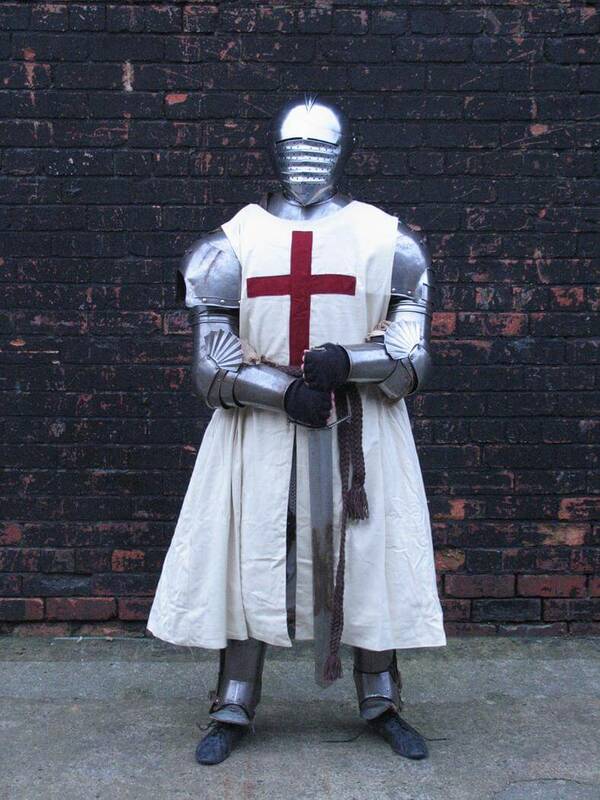 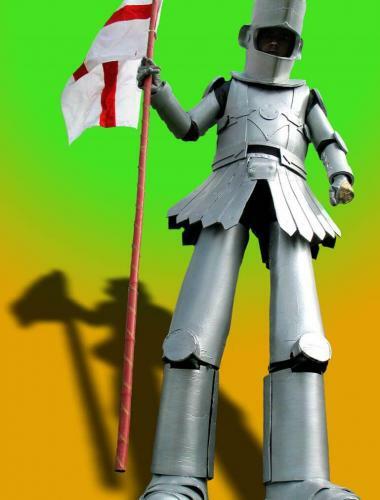 The Knight is dressed in a real full suit of armour, and his knightly courage is real too! 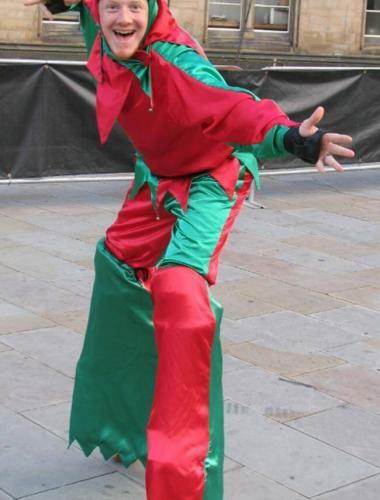 He's bouncing with fun! 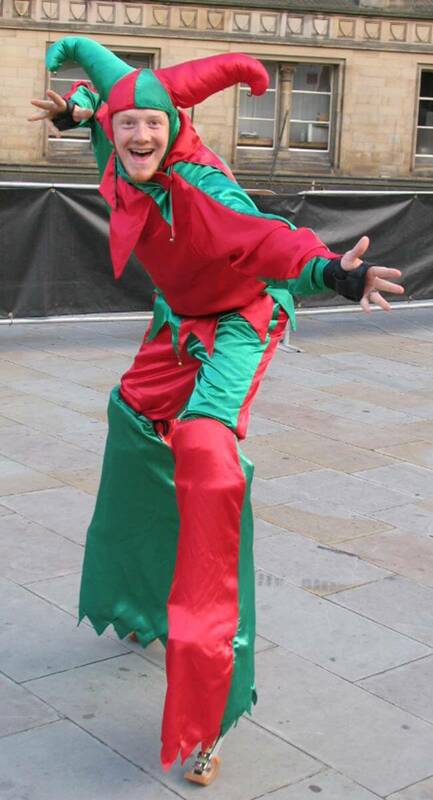 The Jester entertains all the court with his madcap antics! 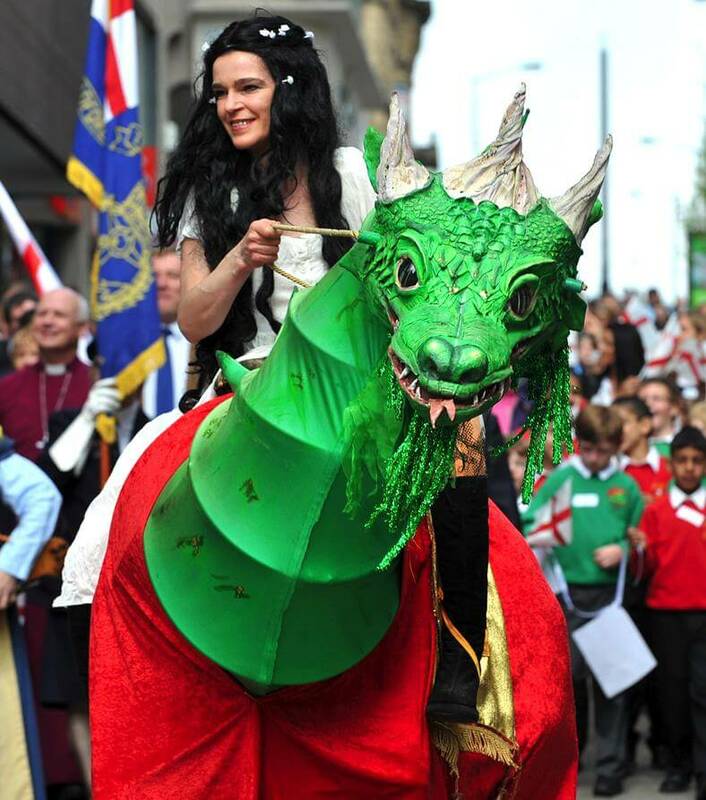 The beautiful maiden rides atop the great green dragon! 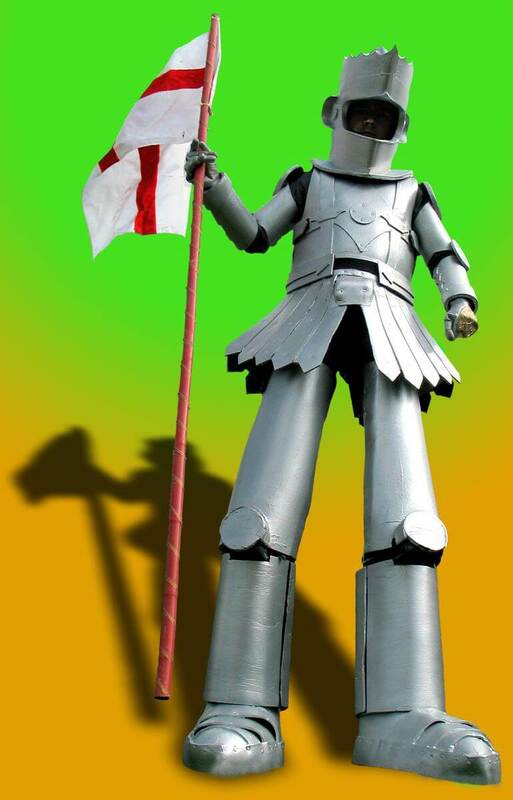 The courageous knight on stilts towers above the crowds - it's the best way for people to see how brave he is! 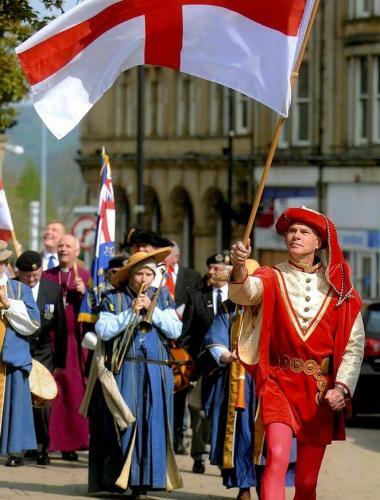 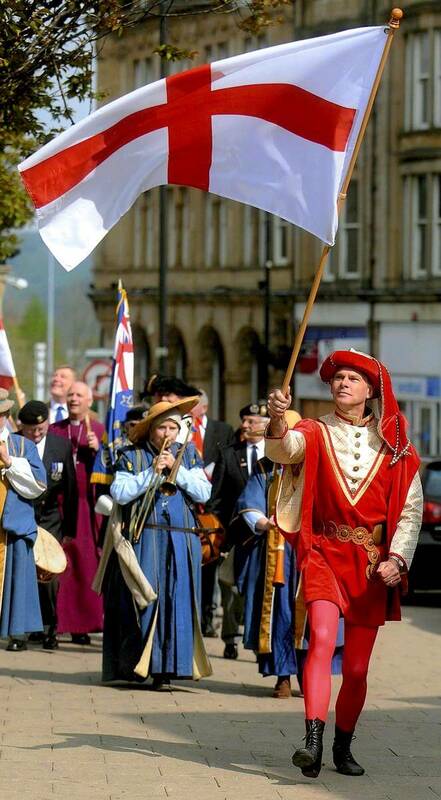 Great for parades, our medieval character leads the procession waving the flag of St. George! 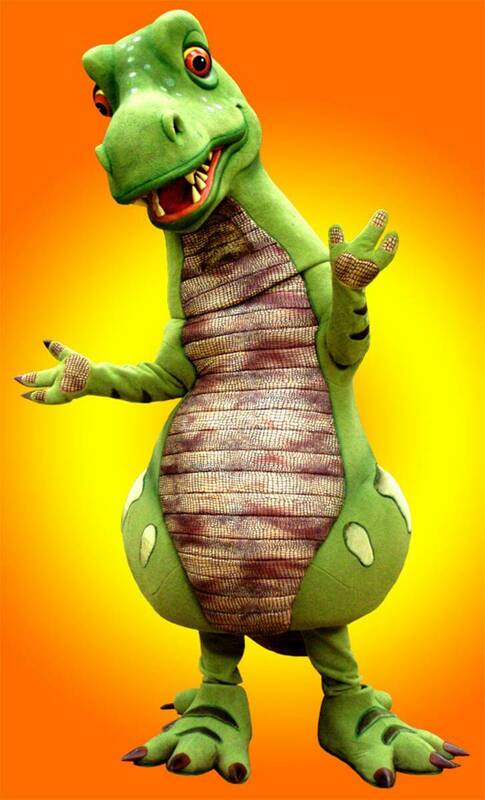 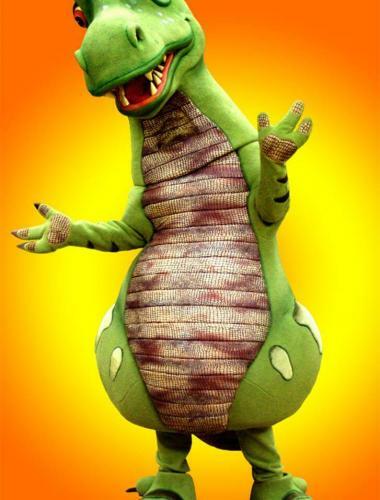 Donny doesn't have wings and he isn't the fiercest dragon, but he does have lots of heart!